Jewish leadership (Hebrew: מנהיגות יהודית‎‎), has evolved over time. Since the destruction of the Second Temple in Jerusalem in 70 CE, there has been no single body that has a leadership position over the entire Jewish diaspora. 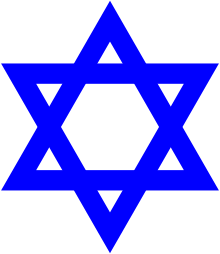 Various branches of Judaism, as well as Jewish religious or secular communities and political movements around the world elect or appoint their governing bodies, often subdivided by country or region. With the demise of ancient kingdoms of Israel and Judah and coinciding with the revolt of the Maccabees against ancient Greece and later Jewish-Roman wars, the sages of the Mishnah and subsequently the Talmud, referred to as the Oral Law in Judaism, took on a growing and central leadership roles. After the destruction of the Second Temple and the subsequent exile for almost two thousand years, the Jews scattered throughout the world turned to their most learned rabbis for local leadership and council. During Bar Kokhba's revolt against Roman Empire (132-135), the supreme religious authority Rabbi Akiva sanctioned Simon bar Kokhba to be a war leader, whereas during the 2nd century Judah haNasi was not only the supreme temporal leader sanctioned by Rome, but also edited the original work of the Mishnah which became the "de facto constitution" of the world's Jewry. The final editions of the Talmud became the core curriculum of the majority of Jews. In Babylonia the Exilarch was almost always a rabbinical personality. The Geonim such as Saadia Gaon (892-942) were not only great sages but also political guides. The writings and rulings of those such as Rashi (1040–1105), Maimonides (1135–1204), Yosef Karo (1488–1575) who published the most widely accepted code of Jewish law the Shulkhan Arukh, Isaac Luria (1534–1572), the Vilna Gaon (1720–1797), the Chafetz Chaim (1838–1933) and many others have shaped Jewish law for almost two thousand years, as their religious rulings were published, distributed, studied, and observed until the present time. The loose collection of learned rabbis that governed the dispersed Jewish community held sway for a long time. Great parts of Central Europe accepted the leadership of the rabbinical Council of Four Lands from the 16th to the late 18th centuries. In the Eastern Europe, in spite of the rivalry between the schools of thought of the Vilna Gaon (or the GRA, Rabbi Elijah ben Solomon, 1720–1797) of the Mitnagdim, who spoke against Hasidic Judaism and Baal Shem Tov (Rabbi Israel ben Eliezer, 1700–1760), the founder of Hasidic Judaism, rabbis were regarded as the final arbiters of community decisions. Tens of thousands of Responsa and many works were published and studied wherever Jews lived in organized communities. In Western Europe, especially in monarchies, where no equal rights were granted for the Jewish population, radical Maskilim defined the new role of religion as an education of just citizens — like Moses Mendelssohn in his book Jerusalem or On Religious Power and Judaism which was a response to the Prussian reformer Christian Wilhelm von Dohm. The radical tendency of the pedagogic movement went so far, that Mendelssohn's student David Friedländer identified Judaism with the seclusion of modern European culture and secular Judaism could end up in conversion to the religion of the unsecularized state. In contradiction to his teacher early modern leadership turned out to be misled leadership, whose followers ended up as "Jewish citizens without any conscience". In individual religious congregations or synagogues, the spiritual leader is generally the rabbi. Rabbis are expected to be taught in both the Talmud and the Shulkhan Arukh (Code of Jewish Law) as well as many other classical texts of Jewish scholarship. Rabbis go through formal training in Rabbinical texts and responsa, either at a yeshiva or similar institution. "Rabbi" is not a universal term however, as many Sephardic rabbinic Jewish communities refer to their leaders as hakham ("wise man"). Among Yemenite Jews, known as Teimanim, the term mori ("my teacher") is used. Each religious tradition has its own qualifications for rabbis; for more information, see Semicha ("ordination"). In addition to the rabbi, most synagogues have a hazzan (cantor) who leads many parts of the prayer service. Template:See also 2 In both the Reform and Conservative of Judaism, rabbis are often trained at religious universities, such as the Jewish Theological Seminary in New York City for the Conservative movement, Hebrew Union College for the American Reform movement, and Leo Baeck College for the UK Liberal and Reform Movements. The Reform, Conservative, and Reconstructionist traditions each have their own governing group or individual leaders. Membership in these governing groups are selected by representatives of the Jewish community they serve, with Jewish scholarship considered to be the key factors for determining leaders. These governing bodies make decisions on the nature of religious practice within their tradition, as well as ordaining and assigning rabbis and other religious leaders. A Karaite synagogue is run by a board of directors, and its spiritual leader is often called a Hakham, the equivalent of a "rabbi", and matches one in function. The Gabbai is the treasurer, the Shammash is the custodian, the Hazzan leads prayers, and in some the Ba'al Qeri'ah leads in the reading of the Torah. In America, Karaites are represented by the Karaite Jews of America, and in Israel they are represented.